Harlequins fans in Crawley can get free travel for their next Premiership home game against Saracens this Saturday. Zeelo will be offering Harlequins fans in Crawley FREE travel for their next Premiership home game against Saracens this Saturday. With both reduced train services running this weekend near the stadium and no parking available for the game, Zeelo are giving Harlequins fans a helping hand and providing fans with free travel to the derby day fixture this weekend. Tickets are sent straight to user’s phones and the direct trip means that fans will not need to worry about crowded public transport before or after the game. 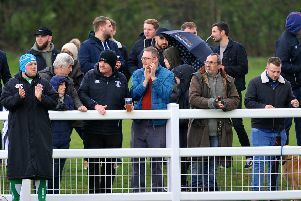 Zeelo will be organising a pick-up point for Quins fans from Crawley Train Station alongside various other locations in the neighbouring counties of Surrey and Kent. Quins fans this season also have the opportunity to purchase a season pass and enjoy discounted travel direct to the Stoop. The season pass covers all regular season home games and prices start from £130. Zeelo uses data to pop-up coach routes that aim to cut travel times by 30% and keep fares low. All services are run on executive coaches with air-con and a guaranteed seat. Zeelo transports thousands of sports fans to games every week and also run services for fans across the country including Saracens, Aston Villa and Tottenham Hotspur. For more information on season passes and tickets for journeys to other Harlequins games, fans can visit https://zeelo.co/rides/harlequins.